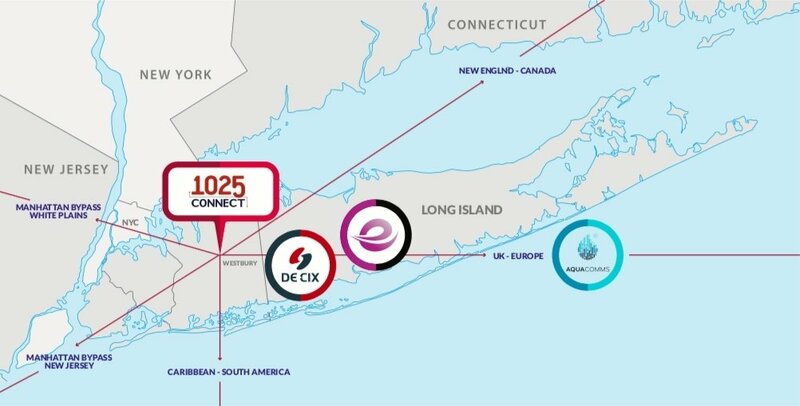 Four digital infrastructure businesses have partnered up to establish Continental Edge, a suite of services delivered from Long Island - the easternmost direct interconnectivity point between the United States and Europe. The partnership involves colocation provider 1025 Connect, DE-CIX Internet exchange, network specialist Epsilon and submarine cable operator AquaComms. This group will offer combined services, aimed at international businesses. 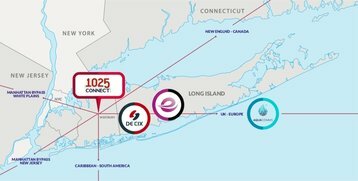 1025Connect runs the data center in Long Island that serves as the landing point for AquaComm’s AEC-1 submarine cable (formerly Emerald Express), linking New York to Killala on the West Coast of Ireland. In March, the company announced that the facility would add a Point of Presence for DE-CIX North America, a subsidiary of the world’s largest Internet exchange. DE-CIX North America offers access to approximately 200 networks, while its parent organization in Frankfurt maintains connections to another 800. The data center in question is wired into Epsilon’s extensive carrier-grade network, which stretches across 170 countries and provides access to more than 100 data centers. Epsilon runs its network using a proprietary SDN platform called Infiny, which marks the Long Island data center as the easternmost SDN exchange in the USA. The four organizations will combine existing products to offer the entire stack of infrastructure services, from servers to connectivity, including strategic options that would be especially useful for businesses that operate across borders.